When you’re brave enough to set a very specific intention for yourself, such as having the love you desire by July, miracles begin to happen. You’ve already done much of the work just by making a commitment to yourself and placing an intention in the universe. The remaining “work” on your part (if you want to call it that) is to just simply believe it. You don’t have to keep asking; your request has been heard. You don’t need to bring graspy energy to it and try to force it to happen; you just need to relax in the knowing of what’s coming. You begin showing up differently for yourself and others. You aren’t afraid to go out and begin living in a way that aligns with the intention you’ve set. You have confidence that everything is working out for you. Right now, just as you are. The Universe (God / Source) is putting all the right pieces into place for your miracle to occur. If resting into the knowing is difficult for you, as it can be for all of us at times, give yourself a visual reminder so that you consciously hold that intention with you each day. Paul is creating a vision board that depicts the feelings he will have when he falls in love. Kate has a particular sweater that she plans on wearing on July 22nd, so it’s hanging on her door so that she sees it each day. As I’ve said before, with every step you take towards love, love takes 10 steps towards you. 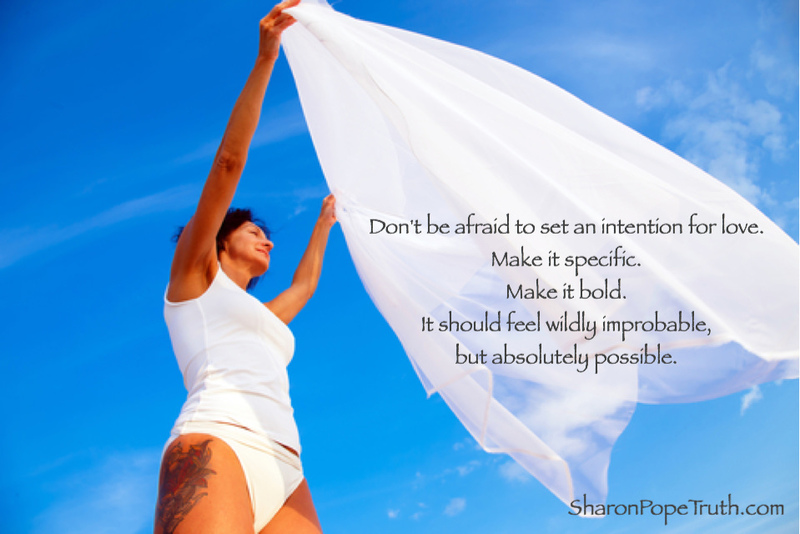 Don’t be afraid to set an intention for when love will be in your life. Make it specific. Make it bold. It should feel a little scary. It should be wildly improbable, but absolutely possible. Are you ready to put a stake in the ground? Are you ready to relax into the knowing of what’s coming? Perfect!